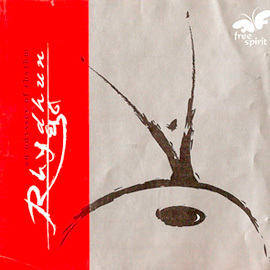 Milestone album RHYDHUN...Pioneering work of Indian Classical Rhythm on African DJEMBE.....Trademark style of 'IN & OUT BREATH' to create unique rhythmic motifs.....MUMBAI STAMP Band using trash to create classic rhythms. 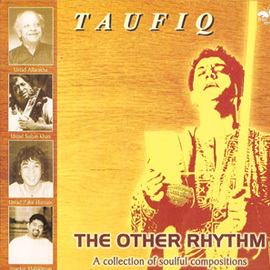 Taufiq’s sense of tone and command over a wide variety of percussion instruments is phenomenal. 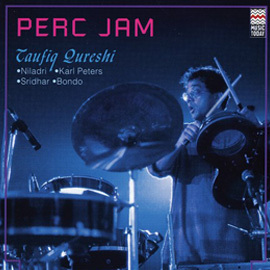 He has been described as "a fantastic percussionist with any instrument at any speed" by his seniors and contemporaries alike. 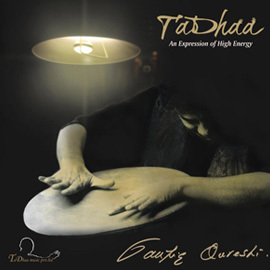 His repertoire ranges from the skin to the breath to just about any surface. 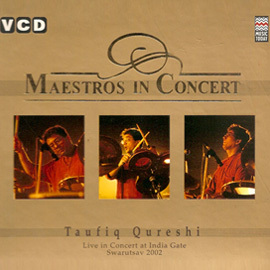 Taufiq has pioneered and developed a distinct technique of playing the African percussion instrument, DJEMBE, in the context of Indian rhythmic compositions. 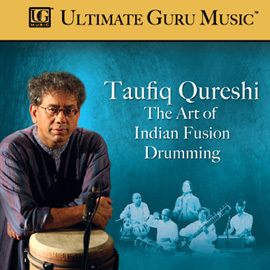 It is solely to Taufiq’s credit that today the Djembe is making its presence felt on the music and concert scene in India.His version of the Djembe is inspiring a whole new breed of percussionists in India. 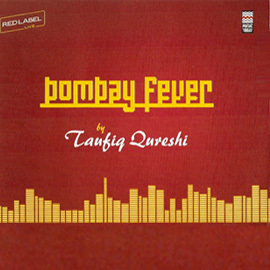 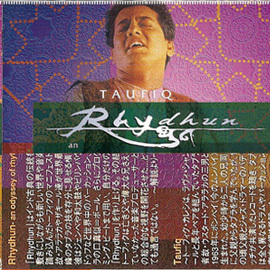 Taufiq's trademark style of creating rhythmic motifs through voice and breath. 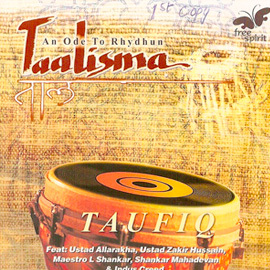 A pure classical performance defining Tabla repertoire on the African Djembe. 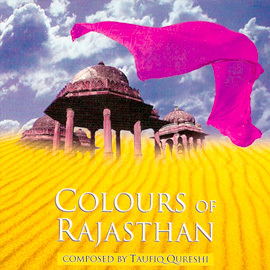 GOLD at London International Film Festival. 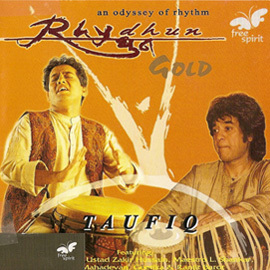 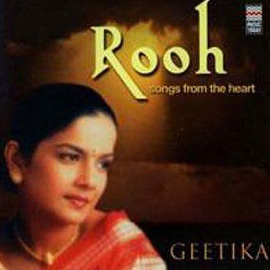 Compositions based on Taufiq's band 'Surya' where he collaborates with string melody, backed by keyboard and other percussions. 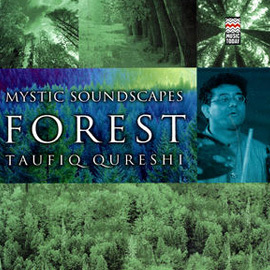 A one of it's kind track, composed and performed by Taufiq using only switches for sound.